Revolutionary Greetings to all Comrades and Allies in the Struggle-Shalom Alekya-Amani-Salaam Alakyam-Habari Gani Ndugus! I am Komrad Ben Ammi Beth Olugbala, a member of the New Afrikan Black Panther Party (Texas Branch) making my presence known as I greet you with a “clenched fist salute” in Panther Love and Spirit. I am well overdue for conveying this message of Inspiration and Power to exhort you all to continue the struggle and to push forward our utmost need to Communicate, to Educate, to Liberate the oppressed and exploited masses as we come together in a united front against imperialism. The N.A.B.P.P. (p.c.) is now in it’s 12th year of existence and I have been educated as well as embraced by our collective cadre. I’ve built with Comrade Rashid, Shaka Zulu, T.B.W. and my close Friend and Former ‘celly’, the outspoken servant of the people—Comrade Malik. I exhort all comrades and allies to put aside petty differences and beefs. We must unite, network and build; staying abreast of current events so that we can fortify our homes, community and our society, for we are at war! We have to unite against our oppressors to protect and defend our loved ones and leaders. We also must expose and steer clear of reactionaries, agent provocateurs and parasitical leaders whose only aim is to sell us out for personal and political gain. For these saboteurs are very detrimental to our struggle for Freedom, Justice and Equality. We must knock the brains out of structural racism in the United States. This means racism is a system-wide effort to “divide & conquer” the people. Divide and Conquer is a very old tactic which was also used in India and Sub-Saharan Africa. It means winning by getting your enemies to fight against each other. The first Afrikans who came to the colonies were indentured servants, not slaves. Europeans (white) and Afrikan (black) servants lived, worked and socialized together. They generally got along because they bonded over shared conditions as members of the working class. This is one of the key points the IWW and Incarcerated Workers Organizing Committee has been trying to get across to all prisoners trapped inside the many slave camps and gulags in the United States. In 1640, three servants ran away from their “master” in Virginia. They were John Punch (black) and James Gregory (white), and a man named Victor who was also white. All the three men were caught and then whipped! This is the first case known of in U.S. history where someone was sentenced to servitude for life. This was a major step toward laying the Foundations for the ‘Legalized’ slavery we see today in Amerika! Sitawa Nantambu Jamaa has called for the California Governor Jerry Brown to recognize the humanity of California prisoners. 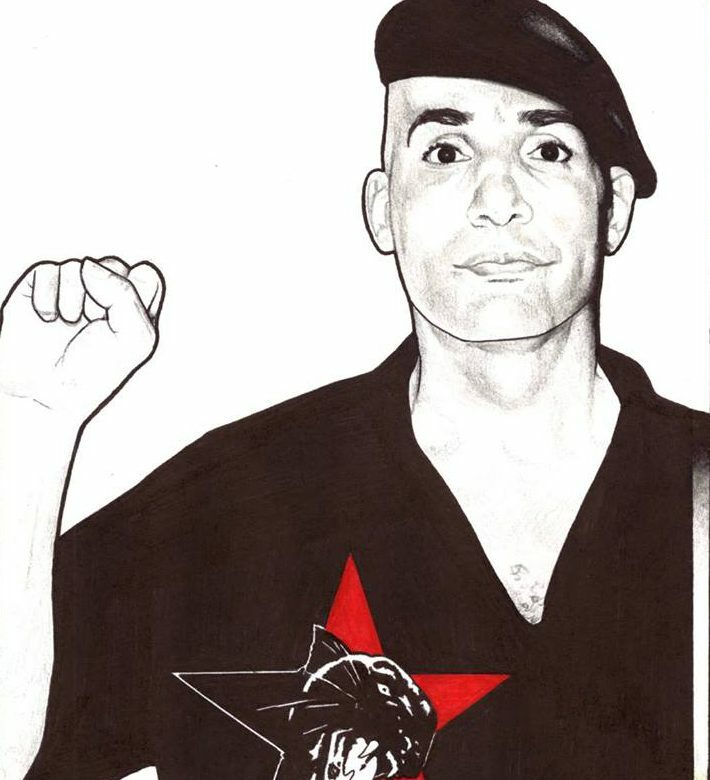 Comrade Malik has been influenced and inspired by the work and revolutionary practice of Comrade Sitawa. As we prepare for the 1st Annual Millions 4 Prisoners March on August 19, 2017 in Washington D.C., Comrade Malik has a very serious message to deliver. Without further delay Comrades, I bring you Comrade Malik. Revolutionary Greetings Comrades! It is Black August and I am going to start things off with words of truth from our Field Marshal Comrade George L. Jackson. Now I could end this essay right here and say nothing else—and for those in this Movement who are fully ‘AWAKE’ I would have said enough; they need no more encouragement; Comrade George said it ALL! But, everyone isn’t “there” yet, we still have work to do—can you feel me? The ‘game’ done changed sisters and brothers. I’m not just talking to Texas anymore. I’m speaking to each and everyone of you who is trapped inside one of these slave kamps throughout Amerika. Let’s touch upon the term I AM WE. It is an Ancient African saying: To me it means; what effects you, effects me. It means, we are together, we are one. I AM WE means that with Unity, Solidarity and Agape Love for one another we can overcome any obstacle and achieve any goal! By applying I AM WE, together we can crush imperialism, eradicate white supremacy, destroy patriarchy, change misogynistic attitudes and save our planet! Texas had formulated a plan to shut me up and derail this MOVEMENT. However, instead of growing weaker our voices have grown louder and stronger and this is not FAKE news-—it’ s Real ya’ll! The March on Washington D.C. is only one aspect of our struggle for Humyn Rights. We, the underclass, lumpen, who are in these plantations have to couple some Action with the Actions of our Free World Friends and Allies. Freedom ain’t Free! It never has been free. The road is paved with sacrifice. If you are not ready please get the hell out of our way! The ruling elite in this country are not going to make things easy for us. The U.S. Attorney General Jeff Sessions has already tipped his hand—it’s full of ‘Trump Cards’. Sessions has directed all Attorney Generals across the U.S. to turn the clock back on us! Just when we thought some relief was coming, just when we were hoping for Freedom, a new reinvigorated ‘War on Drugs’ is being waged against communities of color. Haven’t we endured enough? Haven’t our families been ravaged and torn apart enough by this country’s insatiable appetite to lock up the poor? But you see Comrades—this is their plan—Social Control! In or ghettoes and barrios and trailer parks across this nation are emerging the next generation of leaders for the Revolution. The Imperialists see us in the streets by the thousands screaming and demanding justice. They are very uncomfortable. Sessions has been given marching orders and we cannot make it easy for him. Putting down that ‘dope sack’ is probably the best advice I can give to any young man in the streets right now, but that is just the beginning, there is more! I laugh and sometimes cringe with anger when I see this motto of “Protect and Serve” emblazoned on the side of a Police squad car because I know, just like any New Afrikan in Amerika knows, this motto is a misnomer and a lie! I took this as a call to action, so I, along with my comrade and friend, Professor Justin Adkins of Allegheny College created a YouTube video entitled: Genocide in Chicago (we must not be silent). We crafted our message in such a way that I spoke directly to the people on the street and we asked the street tribe members to put the guns down and protect those who are seeking an education. See, that is what is going to have to happen! We are going to have to take ownership and responsibility for our people! Protect and Serve! Through our on-line video message we put forth a strategy which seeks to tap into the political power that young people in Chicago have not utilized yet. Doesn’t this sound like something you would like to be a part of? Comrades, and I am talking to all sisters and brothers, we are going to have to take our destiny into our own hands and commence to withdrawing our Free Labor. We must begin the process of shutting these slave kamps all the way down! I am not going to talk this subject to death, I am going to close with a final quote from comrade George Jackson. “. ..I think it is imperative, we owe it to him. Never to forget why he did what he did. And that was to stand as a symbol in front of the people, in front of me, and say in effect that we have both the capacity and the obligation to stand up, regardless of the consequences. He was saying that if we all stand up,our collective power will destroy the forces that oppose us. Comrades, I dedicate this piece to comrades George and Jonathan Jackson and Comrade Hasan Shakur may they rest in Power! Sisters and brothers, it is going to take more than passionate speeches and emotional fervor to change our current conditions. In order to combat imperialism, we must adhere to Marxist theory and Maoist doctrine and embrace socialism. As we mourn the death of this beautiful Australian womyn who was murdered by a police officer while she stood unarmed in her pyjamas, we see clearly that the violence within Amerika’s police departments is systemic and structural. Every day it becomes more evident. The only way to place Amerika on a new path, we must abandon capitalism and replace it with socialism. I keep wondering how long it will take for all of us to finally wake up. → Texas Prisoners at Eastham Unit Challenge Contaminated Water and Deadly Heat in US Federal Courts! ← In order to abolish slavery in Amerika we must acknowledge that it still exists!